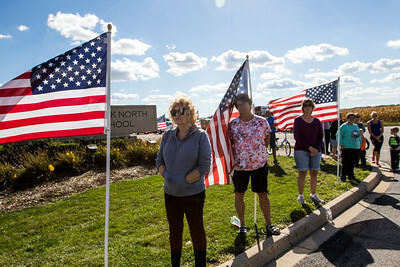 Sarah Nader- snader@shawmedia.com A mourner holds an Amercian flag while waiting for the funeral procession for McHenry County Sheriff's Deputy Dwight Maness to start at Woodstock North HIgh School Saturday, September 19, 2015. 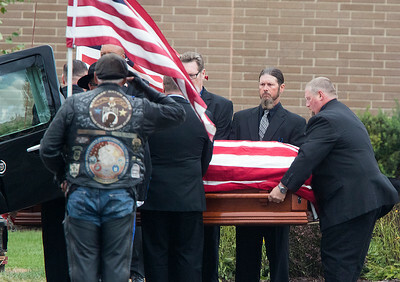 Sarah Nader- snader@shawmedia.com The casket of McHenry County Sheriff Deputy Dwight Maness is carried into Woodstock North High School where Maness's funeral was held Saturday, September 19, 2015. 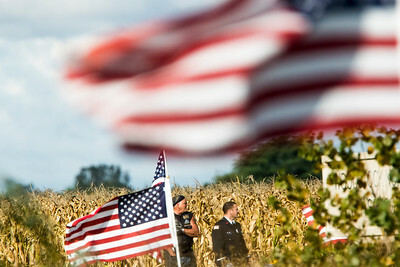 Sarah Nader- snader@shawmedia.com Joe Alger (left) of Crystal Lake holds an Amercian flag while waiting for the funeral procession for McHenry County Sheriff's Deputy Dwight Maness to start at Woodstock North HIgh School Saturday, September 19, 2015. 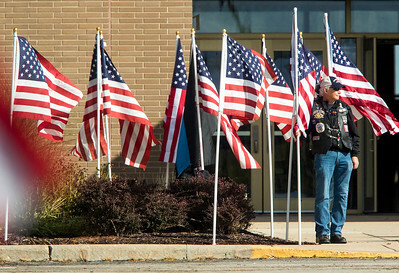 Sarah Nader- snader@shawmedia.com Joe Alger of Crystal Lake holds an Amercian flag while waiting for the funeral procession for McHenry County Sheriff's Deputy Dwight Maness to start at Woodstock North HIgh School Saturday, September 19, 2015. 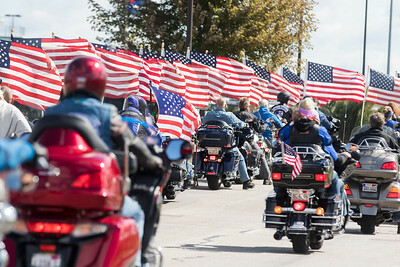 Sarah Nader- snader@shawmedia.com Bikers ride to Woodstock North High School to pay their respects to McHenry County Sheriff Deputy Dwight Maness Saturday, September 19, 2015. 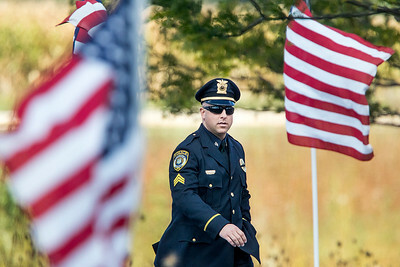 Sarah Nader- snader@shawmedia.com A law enforcement officer goes to pay his respect to McHenry County Sheriff's Deputy Dwight Maness at Woodstock North High School where Maness's funeral was held Saturday, September 19, 2015. 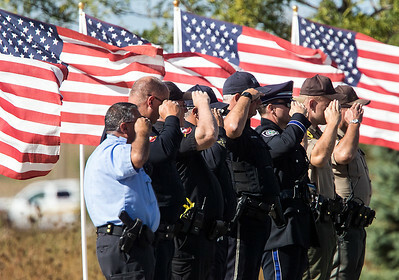 Sarah Nader- snader@shawmedia.com Mourners gather outside Woodstock North High School as the casket of McHenry County Sheriff's Deputy Dwight Mannes is carried out of the school Saturday, September 19, 2015. 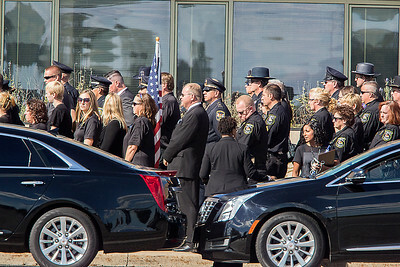 Sarah Nader- snader@shawmedia.com Officers salut while the casket of McHenry County Sheriff's Deputy Dwight Maness is carried into the hearse at Woodstock North High School Saturday, September 19, 2015. 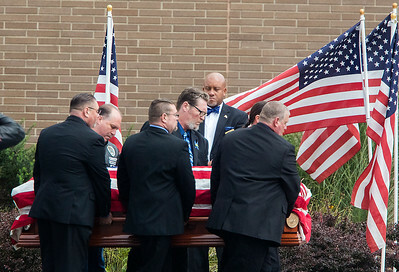 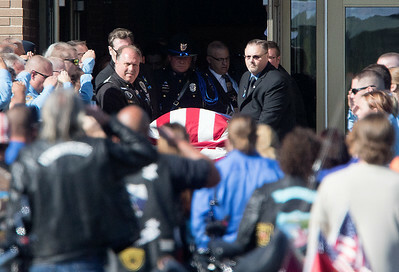 Sarah Nader- snader@shawmedia.com The casket of McHenry County Sheriff Deputy Dwight Maness leaves Woodstock North High School where Maness's funeral was held Saturday, September 19, 2015. 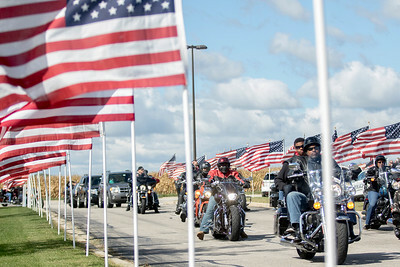 Sarah Nader- snader@shawmedia.com Community members pay their respects to McHenry County Sheriff's Deputy Dwight Maness while his funeral procession leaves Woodstock North High School Saturday, September 19, 2015. 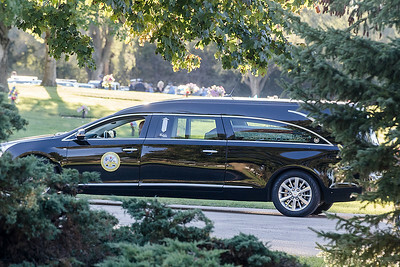 Sarah Nader- snader@shawmedia.com The hearse carrying McHenry County Sheriff's Deputy Dwight Maness arrives at McHenry County Memorial Park Saturday, September 19, 2015. 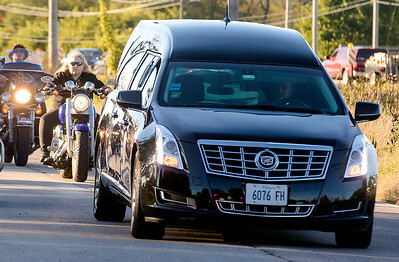 Sarah Nader- snader@shawmedia.com Sue Maness, widow of McHenry County Sheriff's Deputy Dwight Maness rides behind the hearse during the funeral procession in Woodstock Saturday, September 19, 2015. 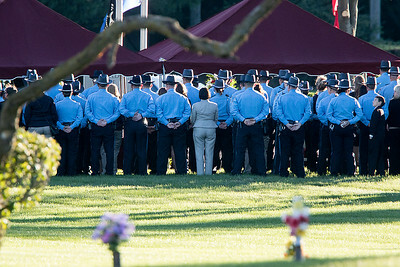 Sarah Nader- snader@shawmedia.com Law enforcement officers arrive at the McHenry County Memorial Park for the service of McHenry County Sheriff Deputy Dwight Maness Saturday, September 19, 2015. 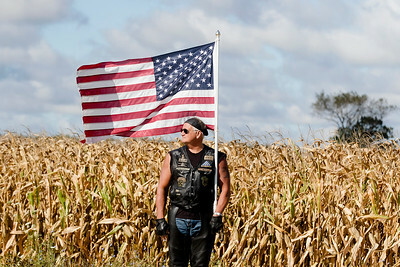 A mourner holds an Amercian flag while waiting for the funeral procession for McHenry County Sheriff's Deputy Dwight Maness to start at Woodstock North HIgh School Saturday, September 19, 2015.